we place in this section the provisions of the regulations meeting the requirements of the new Act of 30 May 2014 on consumer rights. The act came into force on December 24, 2014. However, please remember that before you enter into the intricacies of the provisions of the Act, please contact us at info@mineral-guard.com.pl to resolve any problems in a simple and transparent way for you. The buyer who is a consumer has the opportunity to use the out-of-court method of dealing with complaints and pursuing claims before the Permanent Consumer Arbitration Court at the Provincial Inspector of Trade Inspection in Warsaw. Information on how to access the abovementioned mode and procedures for resolving disputes, can be found at the following address: www.uokik.gov.pl, in the Settlement of consumer disputes tab. The Regulation define the general conditions, rules and manner of sale kept by Mineral Guard Sp. z o.o. 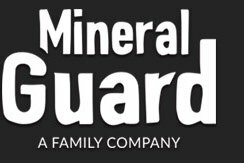 based in Stanisławów Pierwszy, through the online store mineral-guard.com.pl (hereinafter: “Online Store“) and specifies the terms and conditions for providing by Mineral Guard Sp. z o.o. with the seat in Stanisławów the first free electronic services. Business days – means days of the week from Monday to Friday, excluding public holidays. Delivery – means the actual act of delivering to the Customer by the Seller, via the Supplier, the Goods specified in the order. b) Poczta Polska S.A. with headquarters in Warsaw. Client – means an entity for which services may be provided electronically or with which a Sales Agreement may be concluded in accordance with the Regulations and the law. Consumer – means a natural person making a legal transaction with an entrepreneur not directly related to its business or professional activity. Entrepreneur – means a natural person, a legal person or an organizational unit that is not a legal person, the law provides for legal capacity, conducting business or professional activity on its own behalf and carrying out a legal action directly related to its business or professional activity. Regulations – means these regulations. Seller – means the company Mineral Guard Sp. z o.o. based in Stanisławów Pierwszy (05-126), ul. Jana Kazimierza 279 lok. 3, NIP: 536-19-25-609, REGON: 366065438, entered in the register of entrepreneurs kept by the District Court for the Capital City of Warsaw Warsaw in Warsaw, 14th Commercial Division of the National Court Register under the number KRS 0000651694, with share capital in the amount of PLN 50,000; e-mail: info@mineral-guard.com.pl, which is also the owner of the Online Store. Store Website – means the websites where the Seller runs the Online Store operating in the mineral-guard.com.pl domain. Goods – means a product presented by the Seller via the Online Store Website, which may be the subject of a Sales Agreement. Permanent media – means a material or tool enabling the Customer or the Seller to store information personally addressed to him in a way that allows access to information in the future for a reasonable time for the purpose of this information, and which allows the stored information to be restored unchanged. Sale agreement – means a sales contract concluded at a distance, on terms specified in the Regulations, between the Customer and the Seller. All rights to the Online Store, including proprietary copyrights, intellectual property rights to its name, its Internet domain, the Shop Website, as well as to patterns, forms, logos posted on the Shop Website (except for logos and photos presented on the Website Store for the purpose of presenting goods, to which copyright belongs to third parties) belong to the Seller, and the use of them can only be made in a manner specified and compliant with the Regulations and with the consent of the Seller expressed in writing. The Seller uses the mechanism of “cookie” files, which while the Customers use the Shop Website, are saved by the Seller’s server on the hard drive of the Customer’s end device. The use of “cookies” is aimed at correct operation of the Store Website on the end devices of customers. This mechanism does not destroy the client’s terminal device and does not cause any configuration changes in the end-devices of the clients or in the software installed on these devices. Each customer can disable the “cookies” mechanism in the web browser of his terminal device. The Seller indicates that disabling “cookies” may, however, cause difficulties or prevent the use of the Store Website. In order to place an order in the Online Store via the Online Store Website or via e-mail and in order to use the services available on the Store Website, it is necessary for the Customer to have an active e-mail account. In order to place an order in the Online Store by phone, it is necessary for the Customer to have an active phone number. It is prohibited to provide the Customer with unlawful content and use by the Customer of the Online Store, the Shop Website or free services provided by the Seller, in a manner contrary to the law, good practices or infringing personal rights of third parties. The Seller declares that the public nature of the Internet and the use of services provided electronically may involve the risk of obtaining and modifying Customer data by unauthorized persons, therefore customers should use appropriate technical measures that minimize the above risks. In particular, use anti-virus programs and protect the identity of those using the Internet. It is not allowed to use the resources and functions of the Online Store in order to conduct activities by the Customer that would infringe the interests of the Seller. The information contained on the Online Store Website does not constitute an offer of the Seller within the meaning of the Civil Code, but only an invitation of the Customers to submit offers to conclude a Sales Agreement. The Customer may place orders in the Online Store via the Online Store Website or e-mail 7 days a week, 24 hours a day. The Customer may place orders in the Online Store via the telephone in the hours and days indicated on the Shop Website. The Customer placing an order via the Online Store Website completes the order by selecting the Goods he is interested in. Adding the Goods to the order is done by choosing the “ADD TO CART” command under the given Product presented on the Shop Website. After completing the entire order and indicating in the “BASKET” the method of Delivery and payment method, the Customer places the order by sending the order form to the Seller by selecting the “I BUY AND PAY” button on the Shop Website. Each time before the order is sent to the Seller, the Customer is informed of the total price for the selected Product and Delivery, as well as all additional costs which he is obliged to incur in connection with the Sale Agreement. The Customer placing an order via telephone uses the telephone number provided by the Seller on the Shop Website. The Customer places an order over the phone, giving the Seller the name of the Goods from among the Goods on the Shop Website and the quantity of the Goods he wants to order. Then, after completing the entire order, the Customer determines the method and address of the Delivery and the form of payment, as well as indicates, at his or her option, his e-mail address or mailing address to confirm the order. Each time when ordering by the Customer by phone, the Seller informs the Customer about the total price of selected Goods and the total cost of the chosen method of Delivery, as well as all additional costs that he is obliged to incur in connection with the Sale Agreement. After placing an order by the Customer via the telephone, the Seller will send on a Durable Medium, to the e-mail address or correspondence provided by the Customer containing the confirmation of the terms of the Contract of Sale. The confirmation includes in particular: identification of the Goods being the subject of the Sale Agreement, its price, delivery cost and information about any other costs that the Customer is obliged to incur in connection with the Sale Agreement. The Customer placing an order via e-mail, sends it to the e-mail address provided by the Seller on the Shop Website. In the message sent to the Seller, the Customer shall provide in particular: the name of the Product, the color and its quantity, from the Goods presented on the Shop Website and its contact details. After receiving from the Customer by e-mail the message referred to in §3 para. 7, the Seller sends the return message to the Customer via e-mail, providing its registration data, the price of selected Goods and possible forms of payment as well as the delivery method along with its cost, as well as information on all additional payments that the Customer would incur from the Contract of Sale. The message also contains information for the Customer that the conclusion of the Sales Agreement via e-mail entails the obligation to pay for the ordered Goods. On the basis of information provided by the Seller, the Customer may place an order by sending an e-mail to the Seller indicating the chosen method of payment and the method of Delivery. Placing an order constitutes the submission by the Customer to the Seller of an offer to conclude an Agreement for the sale of the Goods being the subject of the order. After placing the order, the Seller sends the confirmation of the order to the e-mail address provided by the Customer. Confirmation of the order is the Seller’s statement about the acceptance of the offer referred to in §3 para. 9 above and upon its receipt by the Customer a Sales Agreement is concluded. After the conclusion of the Contract of Sale, the Seller confirms to the Customer its terms, sending them on a Durable Medium to the email address of the Customer or in writing to the address indicated by the Customer when placing the order. The prices on the Shop Website placed at the given Goods are gross prices and do not contain information on the costs of Delivery and any other costs that the Customer will be obliged to incur in connection with the Sale Agreement, about which the Customer will be informed when choosing the method of Delivery and placing the order. c) cash on delivery, payment of the Supplier when making the Delivery (in this case, the implementation of the order and its dispatch will be started immediately after sending the confirmation of the order to the Customer by the Seller). The Customer is always informed by the Seller on the Shop Website about the deadline in which he is obliged to make the payment for the order in the amount resulting from the concluded Sales Agreement. If the Customer fails to make the payment within the time limit referred to in §4 par. 3 of the Regulations, the Seller sets an additional time for the Customer to make a payment and informs the Customer about it on a Durable medium. The information about the additional payment deadline also includes information that after the expiry of this deadline, the Seller will withdraw from the Sales Agreement. In the event of the ineffective expiration of the second deadline for making the payment, the Seller will send the Customer a durable medium a statement of withdrawal from the contract pursuant to art. 491 of the Civil Code. The Seller realizes the Delivery within the European Union. The Seller places information on the number of business days needed for delivery and execution of the order on the Shop Website. The ordered Goods are delivered to the Customer via the Supplier to the address indicated in the order form. On the day of sending the Goods to the Customer, the Customer confirms the delivery of the parcel to the Customer’s e-mail address. The customer is obliged to examine the delivered parcel in time and in the manner accepted for parcels of a given type. In the event of a loss or damage to the shipment, the Customer has the right to demand from the Supplier’s employee to draw up the proper protocol. The Seller, in accordance with the will of the Customer, shall attach to the shipment being the subject of the Delivery a VAT invoice covering the Goods delivered. In the absence of the Customer at the address indicated by him, given when placing the order as the delivery address, the Supplier’s employee will leave a notice or attempt to contact by phone to determine the date on which the Customer will be present. In the event of returning the ordered Goods to the Online Store by the Supplier, the Seller will contact the Customer by e-mail or by phone, by specifying the date and cost of the Delivery with the Customer again. The Seller provides the Delivery of the Goods free of physical and legal defects. The Seller is liable to the Customer if the Product has a physical or legal defect (warranty). a) submit a statement of price reduction or withdrawal from the Contract of Sale, unless the Seller immediately and without undue inconvenience for the Customer exchanges the defective Product for a product free of defects or removes the defect. This limitation does not apply if the product has already been replaced or repaired by the seller or the seller has not satisfied the obligation to replace the good with a product free from defects or to remove defects. Instead of the defect proposed by the Seller, the Customer may request replacement of the Product free of defects, or instead of replacing the Product, demand removal of the defect unless it is impossible to bring things into conformity in the manner chosen by the Customer or would require excessive costs compared to the method proposed by the Seller. When assessing the excess of costs, the value of the Goods free from defects, the type and significance of the defect is taken into account, and the inconvenience to which the Customer would otherwise expose himself is taken into account.b) demand replacement of defective product with one free of defects or removal of defect. The seller is obliged to replace the defective product with one free of defects or to remove the defect within a reasonable time without excessive inconvenience to the customer. The Seller may refuse to satisfy the Customer’s request if it is impossible to bring the Defective Goods into compliance with the Agreement in the manner chosen by the Customer or if it would require excessive costs compared with the second possible way of achieving compliance with the Sales Agreement. The costs of repair or replacement shall be borne by the Seller. The Seller is liable under the warranty if the physical defect is found before the expiry of two years from the release of the Goods to the Customer. A claim for removing a defect or replacing the Goods with a one that is free of defects expires after one year, but the date can not be completed before the deadline specified in the first sentence. Within this period, the Customer may withdraw from the Sales Agreement or submit a declaration on the price reduction due to a defect in the Goods. If the Customer requested a replacement of the Goods for one free of defects or removal of the defect, the deadline to withdraw from the Contract of Sale or submit a price reduction statement begins with the ineffective expiry of the deadline for replacing the Product or remedying the defect. Any complaints related to the Products or the implementation of the Sales Agreement, the Customer may submit in writing to the address of the Seller or via electronic mail to the address of the Seller. The statement can also be submitted on the form, whose design was posted by the Seller on the Shop Website at: https://mineral-guard.com/reklamacje/. The Seller within 14 days from the date of the request containing the complaint, will respond to the complaint of the Product or complaint related to the implementation of the Purchase Agreement notified by the Customer. The Customer may submit a complaint to the Seller in connection with the use of free services provided electronically by the Seller. The complaint may be submitted in electronic form and sent to the address info@mineral-guard.com.pl. In the complaint, the Customer should include a description of the problem. The Seller shall promptly, but no later than within 14 days, consider complaints and give the Customer a reply. The Customer who is a Consumer who concluded the Sale Agreement may withdraw from it without giving reasons within 14 days. The period for withdrawal from the Contract of Sale starts from the moment the Consumer takes possession of the Good. The Consumer may withdraw from the Sales Agreement by submitting a declaration of withdrawal to the Seller. This statement may be submitted in writing to the address of the Seller or via email to the address of the Seller. The statement can also be submitted on the form, whose design was posted by the Seller on the Shop Website at the address: https://mineral-guard.com/zwroty/. To comply with the deadline, it is enough to send a statement before its expiry. In the event of withdrawal from the Contract of Sale, it is considered void. The Seller is obliged to immediately, no later than within 14 days from the date of receipt of the Consumer’s statement on withdrawal from the Contract of Sale, return all payments made by him, including the cost of Delivery of the Good to the Consumer. The Seller may withhold the reimbursement of payments received from the Consumer until receipt of the Goods back or delivery of proof of the Goods return, depending on which event occurs first. If the Consumer using the right of withdrawal has chosen the method of delivery of the Goods other than the cheapest usual way of Delivery offered by the Seller, the Seller is not obliged to refund the additional costs incurred by the Consumer. The consumer is obliged to return the Merchandise to the Seller immediately, but not later than within 14 days from the date on which he resigned from the Contract of Sale. To meet the deadline, it is enough to return the Goods to the Seller’s address before the deadline expires. In the event of withdrawal, the Customer who is a Consumer bears only the direct cost of returning the Goods. The Consumer is liable for the decrease in the value of the Product as a result of using it in a way that goes beyond what is necessary to establish the nature, characteristics and functioning of the Good. The Seller shall refund the payment using the same method of payment as used by the Consumer, unless the Consumer has expressly agreed to a different method of return, which does not involve any costs for him. The right to withdraw from the Sales Agreement is not payable to the Customer who is a Consumer in relation to contracts in which the Goods are delivered in a sealed package, which after opening the packaging can not be returned due to health protection or hygiene reasons, if the packaging was opened after delivery. The Seller provides the Customer Form service with a free Contact Form. The service is provided 7 days a week, 24 hours a day. The Seller reserves the right to choose and change the type, form, time and manner of granting access to selected services listed, about which he will inform the Customers in a manner appropriate to the change in the Regulations. The Contact Form service consists in sending a message to the Seller via the form placed on the Shop Website. Resignation from the free service Contact Form is possible at any time and consists in ceasing to send inquiries to the Seller. The administrator of personal data of Customers provided to the Seller on a voluntary basis as part of the orders placed and as part of the Seller’s provision of services by electronic means or under other circumstances specified in the Regulations is the Seller. The Seller processes Clients’ personal data in order to fulfill orders, provide the Seller with services electronically and other purposes specified in the Regulations. The data is processed only on the basis of legal provisions or consent expressed by the Customer in accordance with applicable law. The set of personal data provided to the Seller is reported by the Seller to the Inspector General for Personal Data Protection. The customer submits his personal data to the Seller voluntarily, with the reservation, however, that failure to provide certain data in the ordering process prevents its submission and implementation. Anyone who provides their personal data to the Seller has the right to access their content and to correct it or request its removal, and in cases provided by law, request to cease processing of personal data. The seller provides the opportunity to remove personal data from the collection. The Seller may refuse to delete personal data if the Customer has not paid all amounts due to the Seller or violated the applicable law, and the retention of personal data is necessary to clarify these circumstances and determine the Customer’s liability. The Seller protects the personal data provided to him and makes every effort to protect them against unauthorized access or use by unauthorized persons. The Seller transfers the personal data of the Supplier’s Customer to the extent necessary to perform the Delivery. Both the Customer and the Seller may terminate the contract for the provision of electronic services at any time and without giving reasons, subject to retaining the rights acquired by the other party prior to the termination of the above-mentioned. contract and provisions below. The seller terminates the contract for the provision of electronic services by sending to the customer an appropriate statement of will to the e-mail address provided by the customer when placing the order. The Seller shall be liable for non-performance or improper performance of the contract, but in the case of contracts concluded with Clients being Entrepreneurs, the Seller shall be liable only in the event of deliberate damage and within the limits of actual losses by the Client being the Entrepreneur. The content of these Regulations may be recorded by printing, saving on a carrier or downloading at any time from the Store’s Website. In the event of a dispute arising out of the concluded Sales Agreement, the parties will endeavor to resolve the matter amicably. The law applicable to the resolution of any disputes arising from these Regulations is Polish law. The Seller reserves the right to change these Regulations. All orders accepted by the Seller for execution before the date of entry into force of the new Regulations are implemented on the basis of the Regulations, which was in force on the date of placing the order by the Customer. The amendment to the Regulations comes into force within 7 days from the date of publication on the Shop Website. The Seller shall inform the Customer 7 days before the entry into force of the new Regulations on amendments to the Regulations by means of a message sent by e-mail containing a reference to the text of the amended Regulations. In the event that the Customer does not accept the new contents of the Regulations, he shall notify the Seller about this fact, which results in the termination of the contract in accordance with the provisions of §10 of the Regulations. Regulations come into force on 30/03/2017.